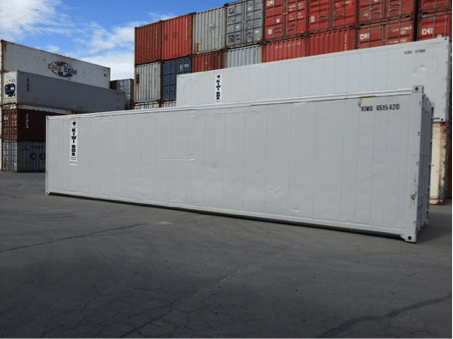 If you’re in the market for a refrigerated storage container, there are 4 essential questions that you must ask yourself before you decide which storage unit is right for you. Let’s jump right in! 1. The most important question: WHY does your business need a refrigerated shipping container? Do you need to expand onsite storage? Do you require offsite long-term storage that isn’t accessed daily? Does your company need a refrigerated storage option that can be easily transported? Is a refrigerated unit part of a long-term business need or is it due to recent expansion or a short-term demand due to oversupply or a recent busy season? The refrigerated storage options that are right for you will depend strongly upon your business needs. 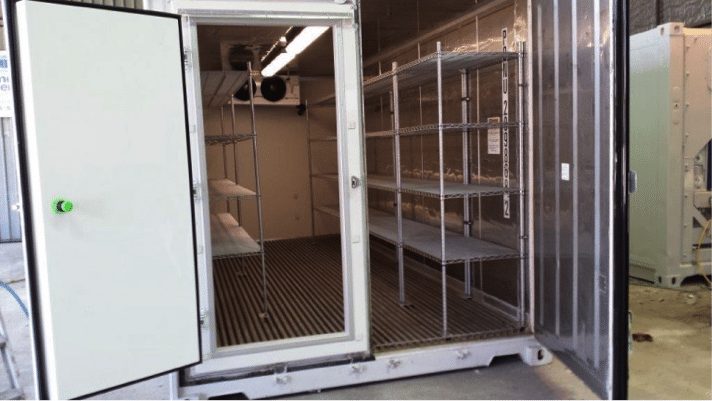 Here at KiwiBox we offer refrigerated units for both short and long term hire – starting at just $14 a day – as well as for sale. The great news is that you can try one out through renting to see if it meets your business needs. The even better news, we pride ourselves on our skill at adapting any refrigerated unit for any situation. 2. WHAT is the product you are storing? What temperature does your product need to be kept at and why? This will help you make decisions regarding the specific temperature the refrigerated unit needs to be maintained at. All our units are in prime shape to operate with temperatures in the range of -30 degrees Celsius to +30 degrees Celsius to match your needs. You can also rest assured that here at KiwiBox we take our clients’ needs very seriously. We have a 24/7 breakdown service and we strive to be there within the hour should a problem arise. Once a year we travel across the South Island to personally inspect all our units out on lease. 3. HOW is the product stored? Thinking about how the product is stored – in boxes, pallets, on shelves or in bottles – will also help you determine how much space you may need. Will the product be accessed daily or monthly? How can you and your staff easily access and assess the inventory stored in the container? We offer both 20-foot and 40-foot shipping containers so we can scale to your needs. With our rental programme, you can upgrade to a larger unit should you need more space. We also customize units to fit your specific needs – we’ve never thought that a one-solution-fits-all makes sense for our customers! We’ve built customised units for a variety of businesses including LSG SkyChefs, Kono Seafood Processing Plant, Heinz Watties and Mao Brewing Company to name a few. 4. How do you plan to access your product and what power can you provide? These shouldn’t be thought of as minor details! Will you be moving your product in and out by hand, or using machinery? Asking these questions will help you determine if the container should be on the ground or at dock level. Regarding power, do you have access to 3-phase or 1-phase? We can provide containers that work with both power supplies, but it is important to know as there are unique advantages to both. More questions? Get in touch. We are a family-owned company with over 23-years of experience in the sector with qualified refrigeration engineers as our founders. Our customers span hundreds of industries and there is no need too small or challenge too big for us to handle!